Why were the Romans so powerful? 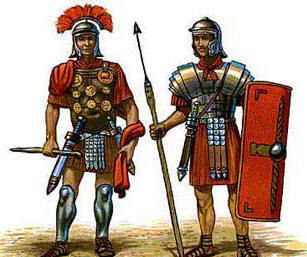 Use the websites below to find out as much as you can about the Roman Army. Then, create a wall chart detailing as much as you can about what you have learned. Egypt's Got Talent - Use your sources of research to create your fact file about your chosen God or Goddess. Using the information texts on your table and the information online using the links below, create a fact sheet about Tutankhamun. LO - to use formal written methods for addition and subtraction to solve problems. We played cops and robbers using column addition and subtraction. It was great fun! Aisha, from Walliams class, has been very creative and wrote her own poem about the The Victorians at home. Well done Aisha, we have enjoyed listening to it. and other creatures like bats. They would be sent away. Today we have been working in groups and writing our own riddles. We have been using the iPads and laptops to research facts for our biographies of Queen Victoria. We have been very busy writing our own Autobiographies and what a great job we have done! How is classroom music delivered at Old Hall? Click here to listen to the song entries. Class 8's World Book Week "Little Red Riding Hood"